It’s not necessary that I share my lies with you. But then I remember something that God whispered to my heart this last spring during a time of listening prayer. Here is how a listening prayer works. I pray, I quiet my mind and I listen. As words come to mind, I simply record them. I’m struck by the words from that prayer and how closely they align with the direction my heart has taken in the past few months. I’m also struck by the last two lines, “Be willing to share your pain. Let me redeem that too.” I prayerfully consider the possibility that something in my story might unlock something in your own and my heart slowly shifts. So here’s the deal. In good ol’ Rachel Hollis fashion, I am going to set aside this space for the next little while to share a rainbow of lies that have taken up residence in my mind at various times throughout my life. During the place in time that they dwelled, I responded. In retrospect, some of my responses may seem cute or even funny, while others dark and destructive. Regardless of the response, I was reacting to a lie, a deception. As a Christian I believe that all lies are spoken by the deceiver, Satan. I believe Satan wants us to believe that we must hide our true selves, or face rejection. I also believe that God’s truth sets us free (John 8:32) and because of His rejection, sacrifice and resurrection, we have been offered full acceptance and no condemnation (Romans 8:1). 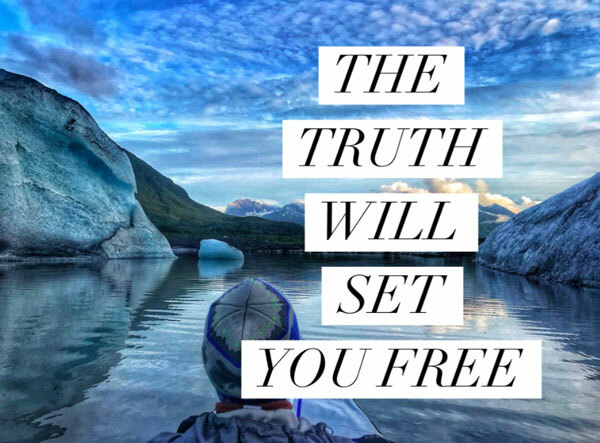 In sharing my lies with you I hope that the truth which sets me free, will bring you closer to freedom as well. 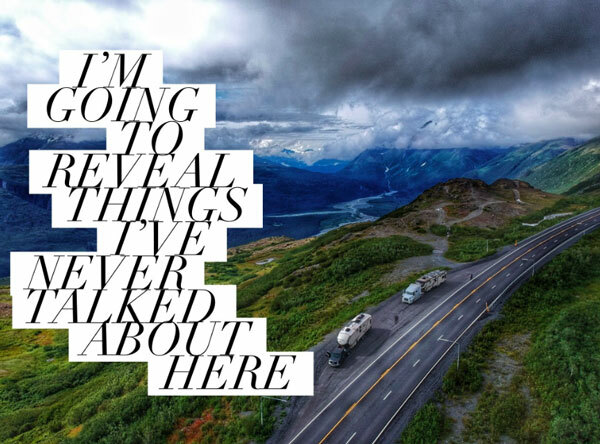 I’m going to reveal things to you that I’ve never talked about in this space and if I am being honest, it’s scary. The voice of fear in my mind is telling, urging me, to just stop. It’s insisting that some of the things that are on my list to share with you are just not suitable here—that they are better spoken about on the couch in my living room where I can look you in the eye and make sure my heart is heard, that I’m not misunderstood, that I’m safe. Safe from your hurtful comments. But then I realize the extreme irony of this whole inner dialogue. Here I am, fearful of sharing lies, when I have *just* recently written about praying through fear. It dawns on me that this right here is another lie! So before I dig into any of the lies on my list, let’s just start with this one right here: what you think about me matters. This can be a tricky one, even for Christians, maybe especially for Christians. There are verses in the New Testament where Paul talks about being “all things to all people” in order to bring them the Gospel (1 Cor 9:19-23). He even urges Timothy (whose mother was a Jew but father was a Gentile) to follow the Jewish custom and become circumcised before they bring the Good News to the Jews (Acts 16:3). Looking at these examples from the outside, a case could certainly be made for caring what others think. After all, wasn’t it concern about what the Jews thought that prompted Paul and Timothy to act in this way? No, not exactly. Here is why I believe this lie is so darn powerful: the lie is “what you think about me matters” not “how I represent Christ matters.” Do you see the subtle difference there? In one statement the focus is on me; in the other, it is on Christ. How I represent Christ always matters. 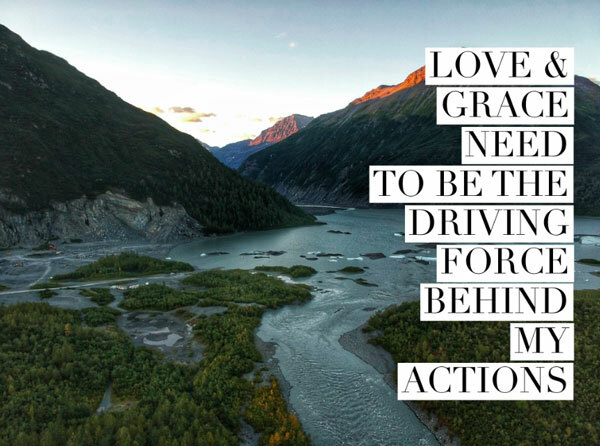 Which means that love and grace need to be the driving force behind my actions. If I know that drinking a glass of wine in front of you will bring offense, it matters that I show restraint and leave my bottle of wine in the fridge. If I know that you avoid eating pork, it matters that I serve something other than our amazing smoked pulled-pork sandwiches when we have you over for dinner. If I know that in your church, all the women wear long flowing skirts, it matters that I do not show up in my jeans and a t-shirt. Does it matter from a salvation standpoint? No, no, no. Does it matter from a love standpoint? Yes, I believe it does. As long as we are living and breathing on planet earth, you and I will always be on a slightly different timeline of sanctification. Things that offended me two years ago, I fully embrace now and things that I felt fine with as a teen, I now choose to avoid. Understanding this concept has been a tremendous aid in giving me the grace to let you “work out your salvation with fear and trembling” right alongside me (Philippians 2:12-13). Neither of us understands it all perfectly all the time. I continue to learn and grow and I trust that you do too. As much as I would hate to be chastised for my misapplied understanding last year, I would not want to do that to you either. Therefore, I do believe that how I represent Christ matters and to that aim, I will do my best to extend love and grace to you in your imperfection and hope that you will do the same for me. Now that I’ve hopefully clarified that, let’s return to the lie: what you think about me matters. This lie needs uprooting. 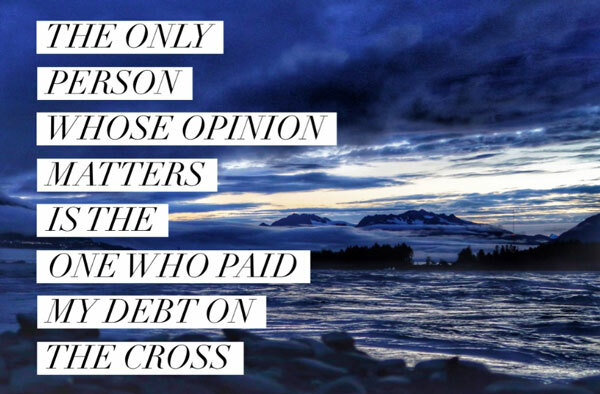 The only person whose opinion about me matters is the One who offered to pay for my debt on the cross. Because He’s the only one who has ever offered to do such a deed and accomplished it perfectly, He is the only one I’m indebted to. Therefore, if He asks me to air out my dirty laundry on this little space on the internet, so be it. I’d rather risk offending or shocking you, than shrink back from my Redeemer’s request (Hebrews 10:39). Therefore do not throw away your confidence, which has a great reward. For you have need of endurance, so that when you have done the will of God you may receive what is promised…but my righteous one shall live by faith, and if he shrinks back, my soul has no pleasure in him. But we are not of those who shrink back and are destroyed, but of those who have faith and preserve their souls. (Hebrews 10:35-36, 38-39 NASB). This is what matters friends. Living by faith. Doing the will of God. Not shrinking back. Both of which are terribly hard to do well while also simultaneously living in fear of what you think about me. Can you relate to this lie? I’d love to hear about it! My story continues here if you’d like to read on and discover why I was so very scared to write on this topic publicly. Psssst: You can listen to Girl Wash Your Face for free on Scribd. Follow my link and get two free months and then go start listening! Good stuff Heather! I am enjoying the late afternoon September sun in Victoria BC as I read your blog. I so agree we never want to intentionally bring offense to anyone and it’s just a considerate thing to temporarily let go of what we would normally do in order to be respectful or loving or what brings peace. And yes we do need to be at the same time caring only what God thinks of us first and foremost. 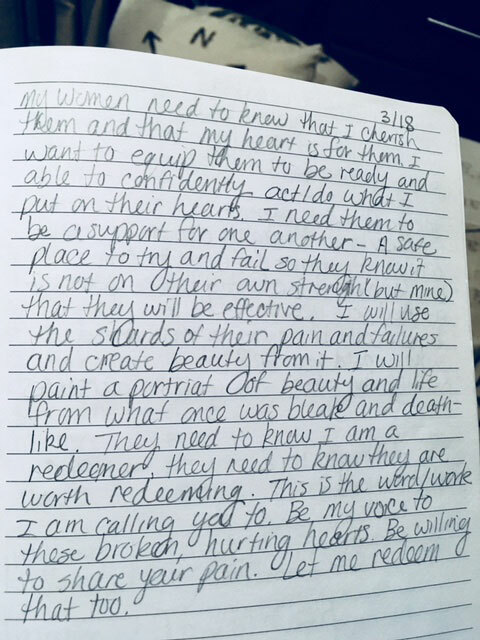 But then in some cases I believe, in order to love ourselves and accept ourselves the way God does, we have to be brave and just go ahead, be ourselves, and do things what may be considered “different”, what may unintentionally raise a “hairy eyeball” or cause others to feel “uncomfortable”. As a result of that however we can sometimes cause an influence that ultimately frees other people to step out and dare to embrace their individuality, their talents, and be themselves too. Same goes with opening up and being transparent. And it’s definitely ok and empowering to others and brave to open up in a blog. But its equally brave and even sometimes wiser to encourage yourself to open up with people you consider safe. To some people that’s a big ourageous step right there. 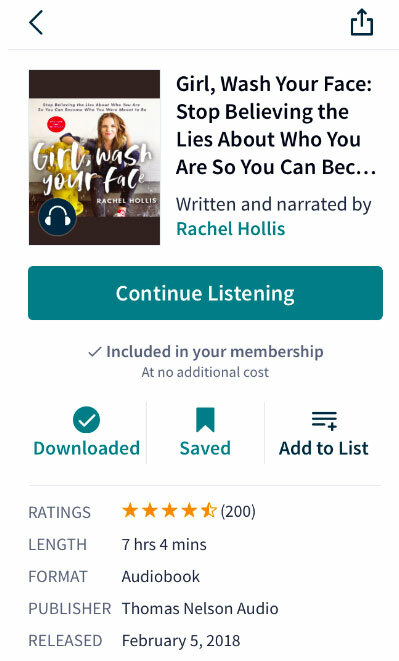 I love love love this idea — Rachel Hollis so inspiring in her honesty, and I love that you took that right along with you out of the book and into your real life. Thank you for your kind encouraging words Jessica! Yes, Rachel led well with her honesty and it blessed me.